Save The Teachers, Reduce Administrators, Corruption And Wasteful Spending! Action Required! Let’s rally to save the teachers and cut the administrators and the wasteful spending! The Socialists/Democrats would love nothing better than to have a chaotic week in Austin during Spring Break. Texas ISDs are heading back to Austin to protest the budget cuts affecting the teachers and are demanding that the ‘Rainy Day’ fund be used to support the schools. At the protest this last Saturday, March 12th, in Austin, according to the Houston Chronicle, San Antonio’s Northside ISD Superintendent John Folks stated to the nearly 5,000 protestors that Perry and lawmakers should not be allowed to balance the budget “on the backs of our school children.” Isn’t this dandy coming from someone whose salary is $270,000? Makes you wonder exactly who Folks is fighting for, himself or the school children? His administrative personnel also make some hefty salaries. Wonder how many staff personnel would volunteer to give up their position for a teacher that is needed in the classroom? 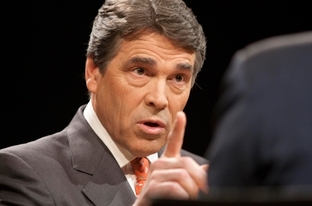 Governor Rick Perry is being blamed for the shortfall in local school districts. The fact is that we are short of money in Texas to the tune of approximately 27 Billion dollars. Governor Perry is doing precisely what he said he was going to do during his bid for reelection, to cut the spending and reduce the budget. See my interview with the Governor on the Texas Economy. State Representative Jim Pitts wants to tap into 4.3 Billion dollars of the projected 9.4 Billion dollar Rainy Day Fund to help the teachers’ cause. With pressure being applied from last Saturday’s teacher protest, it could be that Governor Perry may be willing to tap into the Rainy Day Fund. Ken Armbrister an aide to the governor said, “I don’t know where it came out that the governor was just hardball on this”, referring to the Rainy Day Fund. What are the chances that our property taxes go up? No one wants higher property taxes during this horrible economy and it seems that no one wants ‘their’ paychecks reduced either. Stalemate! Millions of Americans who are self sufficient and hard working not only lost their jobs but lost thousands of dollars in investments and in their 401ks. Social Security checks are not receiving COLA and pension checks are shrinking due to the Bush tax cuts not being completely restored. While Obama and his buddies, the unions, have not had to sacrifice until now. We can see them squirm in states like Wisconsin and Ohio. Texas has now become a target for the left leaning teacher organizations like Texans Together, Save the Schools and Move On.org. Move On.org is organizing a protest at one of Comal County’s schools. Teachers are being cut throughout Texas. In Comal County alone it was reported in the news media that 130 positions would be slashed. Teachers will not be replaced if they resign or retire. Take a look at the salaries of the Superintendents and the administration personnel and you decide if it’s the teachers that should be cut. Understand that the panic has begun because of the scare tactics the Socialists/Democrats are using. Instead of looking to solve the problem they seem to enjoy fueling the situation with no solutions. It is time the teachers take the fight to the right arena, to the over paid superintendents and the high dollar paper shuffling personnel employed. The money belongs in the teachers’ pockets. The truth of the matter we won’t really know how many teachers will be lost due to attrition and budget cuts until all the paperwork is completed at the local level. Below you will find an email sent to teachers telling of the budget ‘shortfalls’. 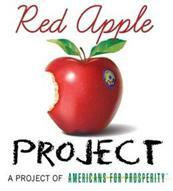 Please check out the Red Apple Project to see just how much goes to teachers and students. Take a look at Texas teachers’ salaries across Texas. The letter from Superintendent John Kuhn to state officials is a bit dramatic and only highlights the pressure that our Governor and officials are experiencing. Maybe it is time we put pressure on the Superintendents to end the corruption in some of the districts and cut the wasteful spending! The Socialists/Democrats who run ‘Save Texas Schools’ want all the Rainy Day Fund and the $830 Million that Congressman Lloyd Doggett took from Texas schools. Dr. Beverly Nuckols has written an excellent account on this subject entitled, "The Doggett Layoff (Political Education on Revenge, Schools, and Teachers)". 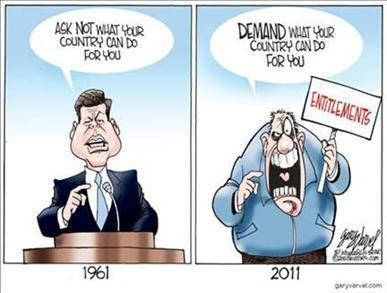 The Socialists/Democrats just can’t stop spending to our detriment. According to Americans for Prosperity: Fred Lewis sits on the steering committee for this event and is in charge of “Strategic Partnerships” for the event. Of course, Lewis is none other than man behind Harris County’s voter fraud scandal that erupted last year. Lewis founded the Soros-funded Texans Together Education Fund, the organization that spawned Houston Votes, which was described as an ACORN-style group that committed rampant voter fraud in Harris County last year. Lavish pay packages, perks and bonus are standard for central administrators. The Austin Independent School District — currently threatening to fire hundreds of teachers — recently gave it’s superintendent ($275,000 salary) up to $25,000 in bonuses. Meanwhile, teachers make less than $50,000. Lewis’ former associate at another left-wing group, Campaigns for People, is Brian Donovan, who now heads fundraising for the Save Texas Schools rally. Donovan also previously worked for the Travis County Democratic Party. Projected shortfalls in Texas school funding and potential losses in local funding cause the District to consider different ways to conserve spending while maintaining staff. One way to do this is to reduce positions through natural attrition. At a Board of Trustees meeting held on March 11, an Early Notification Payment Option was approved. This one-time payment option is available to a limited number of positions. Under this option, if you are a full-time, certified, contracted employee (under Chapter 21 of the Texas Education Code) who meets the criteria and formally notifies Human Resource Services of resignation by 4:30 p.m. on April 1, 2011, you are eligible for early notification payment. This early notification option will help the District plan replacement and reorganization of staff for the 2011-2012 school year. Some things to note: · Employees who qualify for the early notification payment option must complete their 2010-2011 contracts. · Early notification payment recipients will not be eligible for rehire in 2011-2012. If you decide to pursue the early notification payment option and meet the eligibility requirements, complete the attached documents. Eligibility requires hand-delivery of all documents fully completed to Human Resource Services office between 8:00 a.m. on March 21 and 4:30 p.m. on April 1, 2011. Gov. Rick Perry, addressing education cuts on Wednesday, had one message for districts facing layoffs: Don't shoot the messenger. At a news conference on state sovereignty, Perry said local districts, not the state, deserve the blame if $10 billion in cuts to public education results in any teacher layoffs. Worst-case estimates have put layoff totals at 100,000. "The lieutenant governor, the speaker and their colleagues aren't going to hire or fire one teacher, as best I can tell," he said. "That is a local decision that will be made at the local districts." Perry urged districts to first cut nonteaching and administrative positions, which he said districts have added in dramatic amounts over the past decade. "Are the administrators and the school boards going to make a decision to reduce those, or are they going to make a decision to reduce the number of teachers in the classroom?" he said. "I certainly know where I would point." Gov. Rick Perry and some lawmakers have intimated that local districts are to blame – not the state – for projected draconian budget cuts to school district budgets, including the potential loss of tens of thousands of school district jobs. Representatives from TASA, TASB and the Texas School Alliance jointly released the following statement Wednesday in response: Let there be no mistake, the decisions being made in school districts across the state regarding staff layoffs are a direct result of state funding cuts proposed by the lawmakers. We urge lawmakers to use a balanced approach in developing a state budget, including accessing the Rainy Day Fund. In his comments, Perry indicated that there is room for cuts in non-teaching positions because the percentage of non-classroom personnel has outpaced that of teachers by an "extraordinary" amount over the past decade. Over the last decade, the percentage of teachers has slightly declined from 52 percent to 50 percent, by no means an “extraordinary” drop. Auxiliary staff has declined, but the percentage of aides and professional support personnel has increased, signaling a shift from operational to instructional support. Local school leaders make education a priority every day. Texas students need our state leaders to do the same and protect funding for the classroom to ensure a quality education for every child. There is help for Texas students - IF our leaders have the courage to use it - and you can make a difference. Make education a top priority! Use the $9.3 billion Texas "Rainy Day" Fund to support schools. Sign the paperwork for $830 Million in federal aid for teachers.